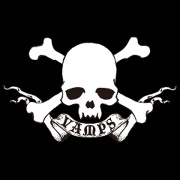 HYDE (L&apos;Arc〜en〜Ciel) and K.A.Z (Oblivion Dust) joined together in 2008 to form VAMPS. Since then they have released a total of 12 singles and 4 albums. They have performed at many indoor and outdoor events, both in Japan and overseas. In 2016, they signed a contract with the leading American management company 10th street entertainment, and ever since then they have been progressively expanding both in their music production and concert number overseas.